We first diagnose the “problem” and fill in any gaps in content you probably aren’t even aware of. Rather than a blanket strategy of more and more practice tests, we strategically hone in on the exact problems you need help with to make more efficient use of your study time. 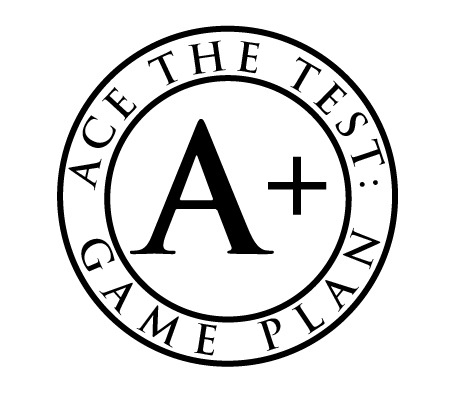 Then we look at your testing strengths and weaknesses (everyone has them) and strategize a testing day plan that will help you achieve a maximum score. By the end, your confidence can’t help but soar, because you will KNOW you know this test inside and out. And confidence is the secret sauce that takes scores from great to stellar. Breaking down the whole college process into bite-size, actionable pieces. Determining which test you are most likely to ace, and potentially save you dozens of hours of prep time. Creating a target score, so you have a clear goal in mind. Identifying where you should focus your time and how. Creating your testing time-line to make the most efficient use of your Junior and Senior years. Recommended test dates and study timeline. Teaching all content needed for the SAT I or the ACT. Teaching all content needed for the SAT II Math and Literature Subject Tests (if these Subject Tests are part of your testing timeline). Teaching proven testing strategies and “Math Ninja” tricks to dramatically increase your scores. Developing custom exercises to boost your confidence and expand your motivation and ambitions, allowing you to pull off more than you ever thought you could accomplish.